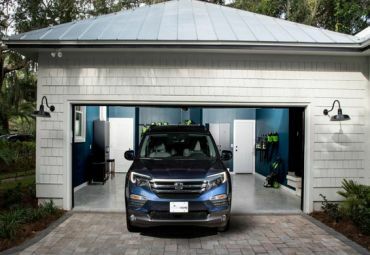 How much does it cost to build garage? If you have been thinking and looking for someone who could build a unique and durable garage for you, now PLATINUM CONSTRUCTION is at your disposal! 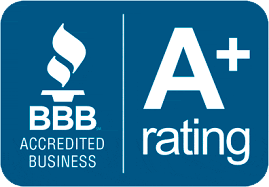 For 15 years now, we have been providing our services to the residents of Ohio and we can say with boldness that all our customers are satisfied with us. We are specialized in building a garage and every year we build more than 200 garages, thereby embody our clients' dreams into reality! Our professional masters, distinguished by their responsibility and creativity, as well as having extensive experience in the construction industry will provide you with our services at a high level. Our differences - Guarantees, Reliability, Accessibility. We are devoted to you and we love our work! In the history of our company, the construction of garages has become our core business. 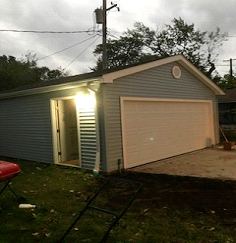 Our company is specialized in building a garage in Cleveland and our clients thank us for the qualitative work. We build a garage according to the code of the city. This work is worth so much effort and labor and taking all this into account, we are proud of our work. All PLATINUM CONSTRUCTION services are licensed. 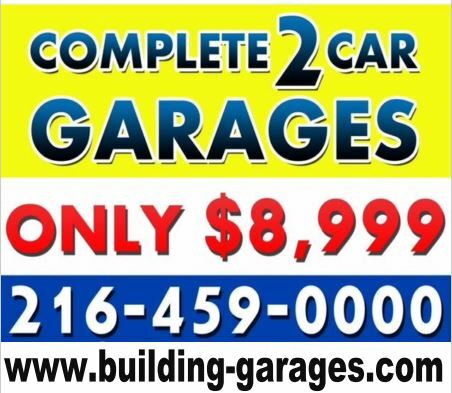 We are one of the major garage building companies in north-east Ohio. 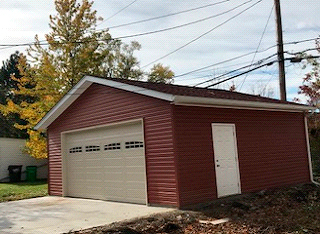 PLATINUM CONSTRUCTION can modernize your existing garage, or build a completely new garage. Our highly specialized masters will build garage exactly as you would like. Their many years of experience in this field allows them to build a garage considering every detail. 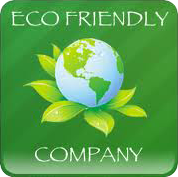 We perform a responsible attitude to each project and this allows us to satisfy the desires of each of our clients. • Gable roof garage design — is a construction that rests on two walls of the same height. Such roofs have two slopes. The end part resembles a triangle in its shape. • Reverse gable roof garage design — is very popular for the construction of garages due to fairly simple technology and high speed of installation. The design consists of saddle roof with straight slopes. The optimal angle of the slope is about 45° – this design is able to withstand severe snow and wind loads. • Hip roof garage design — is a design where each of the four rays will be made in the form of equilateral triangle, and their vertices are connected in one center. Your trust – is our strength! PLATINUM CONSTRUCTION own a good reputation and it works honestly and dependably. Our basic aim is to satisfy customers. For more confidence, we are ready to provide you with feedbacks from our long-term clients, and thus you will be convinced of our reliability and professionalism. Call us for detailed information, and we will present the best service to you. YOU HAVE QUESTION MORE? Ask your questions our specialist.